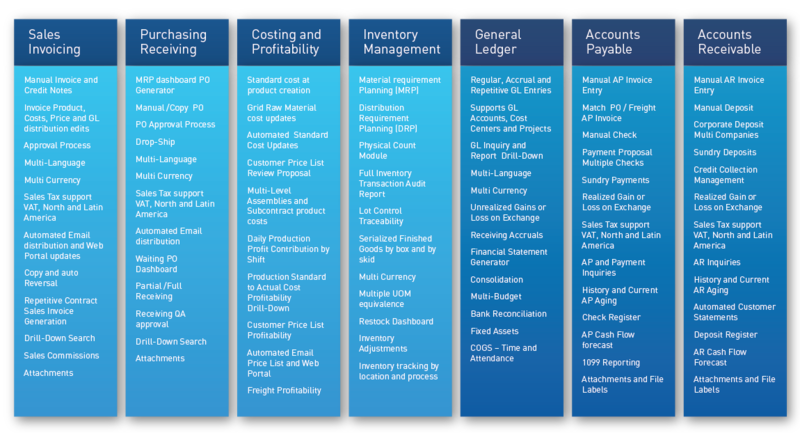 CyFrame provides simple and efficient integrated solutions to help structure your entire business by supporting production, inventory, accounting and distribution activities. 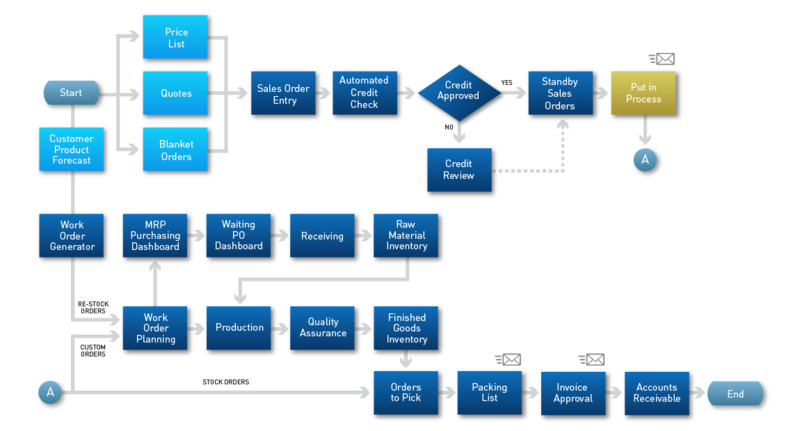 CyFrame’s simplified visual workflow structures your entire process to provide the tools and reports to effectively monitor your teams’ performance and identify bottle necks to ensure on-time deliveries. 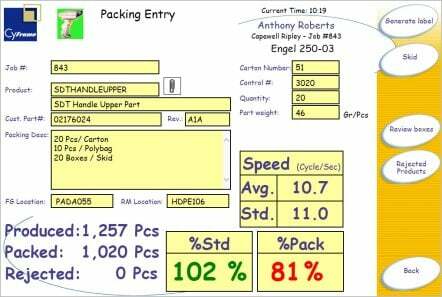 CyFrame live shop floor data acquisition is included as a standard feature, making it accessible to all plastics processors, small or large. 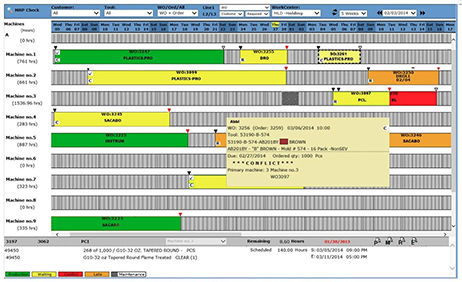 The solution tracks production quantities and efficiency in real-time while managing lot control, rejects, downtime, setup and production time. How successful were you today? This week? This month? Year over year? 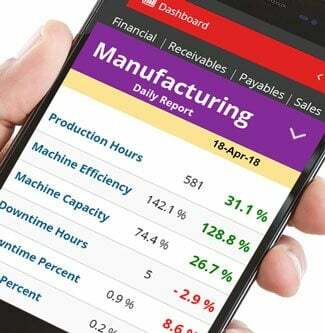 Access all your sales, financial, inventory and production performance metrics, wherever you are at any time of the day. 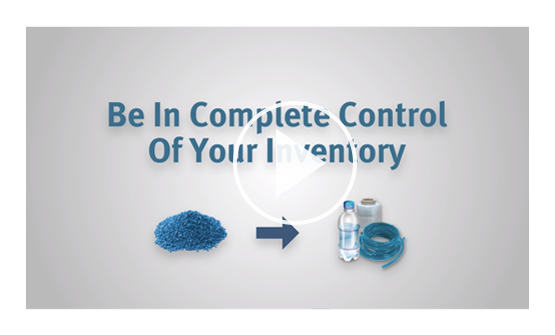 View the most effective way to manage raw material and finished goods inventory by location as well as tracking lot control and issuing material certificates. 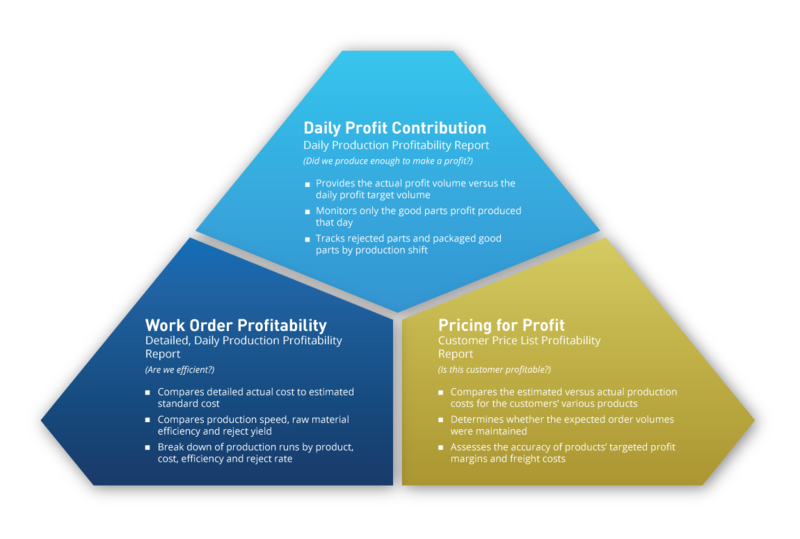 Cutting-edge integrated Financial and Costing solutions which provides the capability to perform all accounting tasks in the most efficient way while delivering all necessary profitability metrics for managing product costs, customer price list and production activities in the simplest and earliest way possible.